INDUSTRIAL hemp, widely applauded for its unrivalled green credentials, is emerging with a bright future in the building industry. And one Queensland builder is especially passionate about the material’s potential, is educating visitors from around the globe in how to use it. 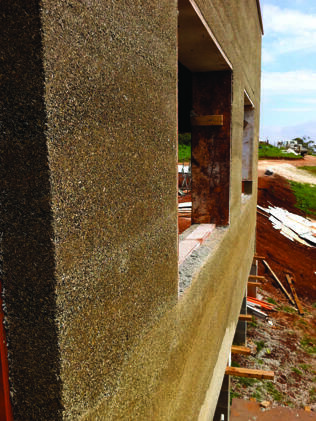 Hempcrete Australia director Johan Tijssen, of Maleny, has now built several buildings around Australia using hempcrete, more accurately known as hemp lime composite (HLC). His latest project is a two-level three-bedroom house nearing completion at Moffat Beach, Caloundra. 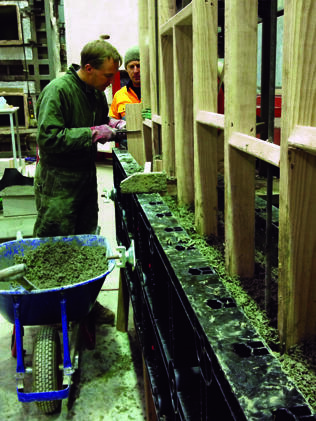 Mr Tijssen also conducts regular workshops in hempcrete construction which have attracted overseas participants. The next training is due to run in Perth early in 2015. “We look at why and how HLC insulation works including aspects such as the hygroscopic nature of hempcrete,” Mr Tijssen said. 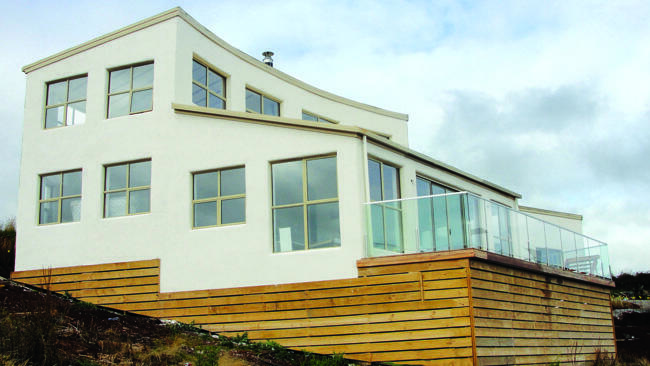 Hempcrete was created in the 1980s by a Frenchman restoring old buildings in the Champagne region and it has taken on a new prominence in recent years, particularly in the sustainable housing sector. HLC, a combination of water, hemp aggregate and a lime-based binder, sequesters carbon dioxide for the life of the building and offers excellent thermal insulating and acoustic properties. Mr Tijssen, who has more than 20 years experience as a builder and has studied hempcrete applications extensively across Europe, is the first in Australia to acquire BCA certification for hempcrete installation and training methods. He sources industrial hemp grown in the Hunter Valley for his projects but hopes the crop will eventually be grown widely in Queensland. Growers require a permit. The plant is a different strain of cannabis sativa that contains very little of the psychoactive substance found in marijuana. Mr Tijssen said hempcrete buildings had excellent insulation and thus significantly lower energy costs, and were a good option in cyclone and earthquake prone regions because HLC was more flexible than concrete. “To an extent the hempcrete wall will flex back, when concrete would crack,” he said. Hempcrete was also a carbon-negative material, removing more CO2 from the atmosphere than what it puts into it.